Netpkg new version 6.3 is available. The GUI has been improved to give more place to the packages tree browser. New dialogs have been added to ease sources management. Please report any issue. 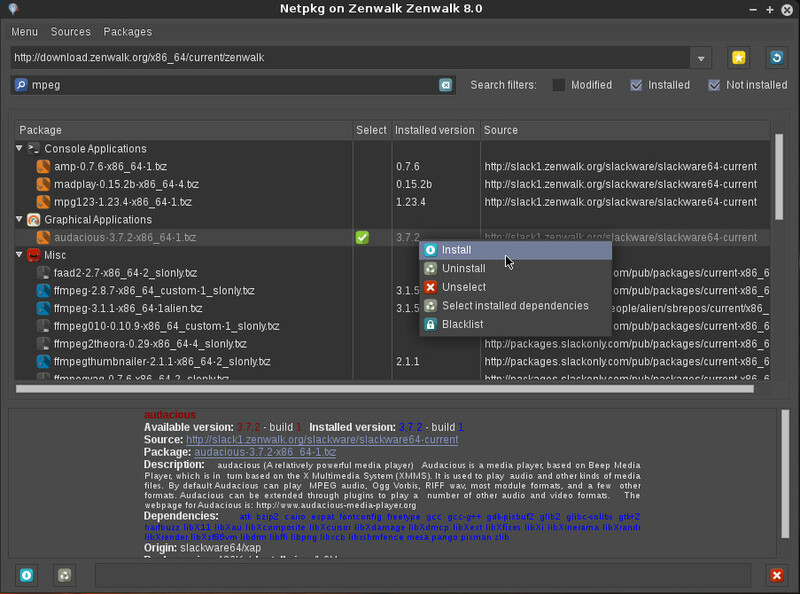 Written in Perl and C, Netpkg aims to be a powerful multi-source, dependency aware, modern package manager for Slackware and Zenwalk.